Away In A … What? You know what…sometimes I’m too accepting of of whatever I hear and never really stop to think more about stuff. Praise God I’m an engineer because it helps me try to make common sense of things by seeking a better understanding of…things. So, I don’t know about you…but…I never really questioned the song. I’m all like, “yeah, I get that.” But after thinking about the song more, it fails to explain or detail the most fundamental aspect to this song: what in heaven is a manger? Perhaps I’m not cultured in late 18th century Europe from which the lyrics to this carol originated, but in living this modern life, perhaps knowing what a manger is has become lost to me as common knowledge. Context clues from the rest of the song tells me that a manger involves animals and somewhere to put a baby. Mmk, so stable? A manger is a stable? Errmmm. Sure. I’ll take that! Makes sense! Let’s move on! But see, that’s not exactly what a manger is. I was finally enlightened after like…20 years of understanding a manger to be some sort of stable that somehow held baby Jesus. In actuality, a manger is simply a type of food trough for animals. A food trough for animals. 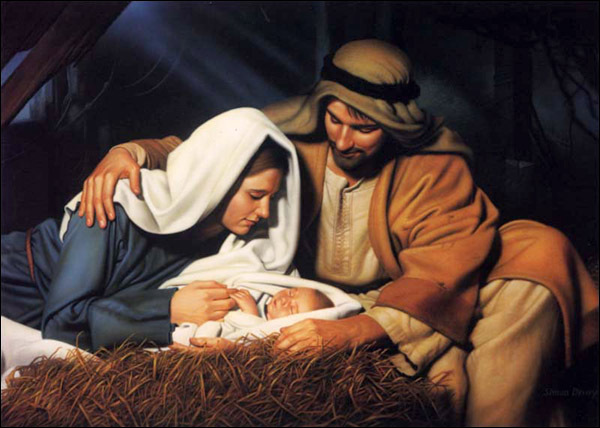 How can this be, that the God of the Universe, our Creator, our Father in Heaven, begot His only Son, the King of kings, incarnate of the Virgin Mary…and because Mary and Joseph could not find a place to stay…Mary had to give birth in a stable. With nowhere else to place the baby, Jesus, he was placed in a manger wrapped in swaddling clothes (Luke 2: 1-7). Perhaps it’s my modern mind that thinks that someone of great importance deserves the best, and yet here is Jesus, Son of God, placed in a food trough for animals. How incredibly humbling, if you think about it. And it’s practical too. I mean, it’s not like He could fall out. Being the Son of God, Jesus probably had this radiant glow about Himself in the manger. A glow that speaks adorableness, beauty, cuteness, and all the synonyms. You know how sometimes babies are just sooooooooooo cute, you just want to eat them up? Or at least stick their foot or hand in your mouth? I’m not a father, but I’ve been around enough babies and their parents to see this happen. Actually, one of my fav bloggers blogged about it once, Bad Catholic: On Wanting To Eat Your Baby. Marc Barnes eloquently ties Beauty to the desire of wanting to eat your baby–I cannot match his expression on this matter. Worth reading. But back to the manger. I can’t help but think that by Mary placing Jesus in a manger (like she had a choice…) kind of says, “hey, eat Me!” And again, Jesus must’ve been divinely adorable as a newborn–Mary and Joseph probably eyed his arms hungrily (in the sense mentioned in the above paragraph, I should stress). And fun fact, Jesus was born in Bethlehem of Judea. In old Hebrew, “Bethlehem” means “house of bread.” Somehow, I’m seeing a theme of food here. Reflecting on all this, perhaps Jesus wasn’t parable-ing or being symbolic in John 6: 22-59 in His Bread of Life discourse. Anyway, cool stuff. A manger is a food trough. How wrong I was to think it meant the stable, but now knowing that Jesus was away in a [food trough] with no crib for a bed, He had a place to lay down His sweet head (yes, it was probably pretty sweet… 😉 ). Which lends towards a more beautiful understanding of what took place that first Christmas day.